* SOLD OUT * It's the first EGG Charity Girls lunch! You can look forward to an amazing afternoon of fabulous food, wonderful company, music, laughter and fundraising. Sorry, registration for this event has ended and you can no longer purchase a ticket. Why not check out our Other Events? ** SOLD OUT ** We’ve hosted a whole load of events since our launch last April, but it’s our EGG Lunches that get talked about the most. Culinary celebrations, we’ve loved bringing hundreds of women together across Edinburgh, Glasgow and Perth, supporting your business, introducing you to women in your community, inspiring and supporting. But it’s time to go large, to really do it in style and to support an amazing local charity while we’re at it. 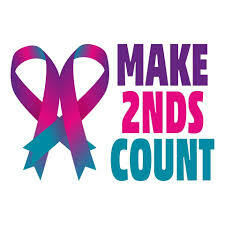 This year we’re supporting and raising money for local Charity Make 2nds Count, set up by Good EGG Lisa Fleming. Lisa was diagnosed with Secondary Breast Cancer in May 2017 and, dismayed with the lack of funding being put towards the disease, set up a charity to help do just that. We can promise a glamorous afternoon, with champagne reception, 3 courses, some incredible prizes, singing, music, comedy and lots of laughter. One EGG event not to be missed, gather your girls and get those tickets. Open to Members and non-members you can buy up to 10 tickets at a time.